We had a few days on the North Yorkshire coast as Little Bird's first holiday. 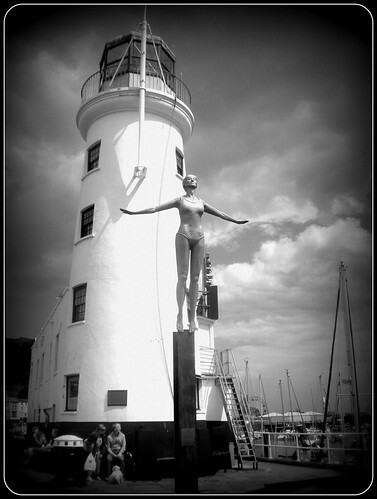 Scarborough was a surprise, a wide clean beach, a pretty park, narrow streets to explore and a great sense of nostalgia. Not at all what I expected. I loved it. 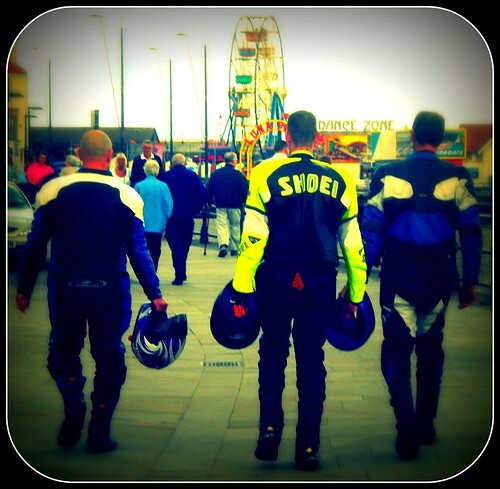 It was Little Bird's first time at a quintessential British seaside town. A first time to see hushed waves gently lapping the beach , get sand grains between little toes, walk along a promenade passing noisy amusement arcades (which he was enraptured by) and meet boisterous sea gulls trying to pinch our ice cream cones ('lemon tops' in these parts). Where should the latest recruit to the bucket & spade club look first with such bright, colourful displays in every shop in the bay? A very first time too for a little man to spy fishing boats with webs of netting , rows of crab pots and new, sometimes intense smells - fishy delicacies, sharp saltiness - for a little button nose. Sweet dough, candy, chips and ice cream sundaes were feasted upon and calories ignored. I thoroughly recommend an ice-cream parlour called Alonzi's Harbour Bar, pure 1950's retro with waitresses pinafore's as yellow as their house specialty banana splits. The old town, just outside of the castle walls, was a surprise find for Daddy Bird who has been to this coastline many times before. Steep streets, out of puff, pushing the buggy, looking at coastal inspired gardens and window boxes. In St. Mary's churchyard you can find the grave of Anne Bronte who died in Scarborough, of Tuberculosis, aged 29 although the headstone incorrectly says 28. I found the old town fascinating and a bit spooky (they have ghost tours around there). 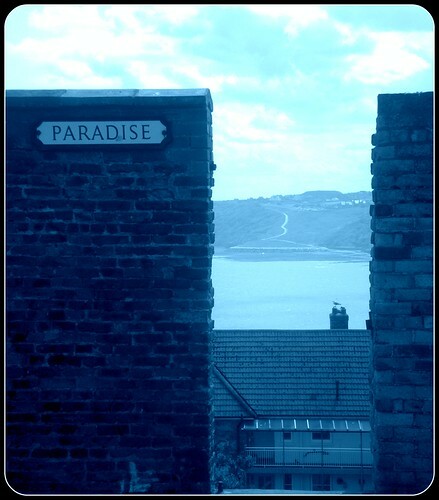 There's a road called Paradise which was appropriate to this sunny afternoon peering through gaps in alleyways and catching glimpses of a sea that today was so beautifully blue. I grew up in a seaside town on the other coast but even though it may get me permanently banned from the greater Lancashire area, I have to say I think I prefer the Yorkshire coast now. 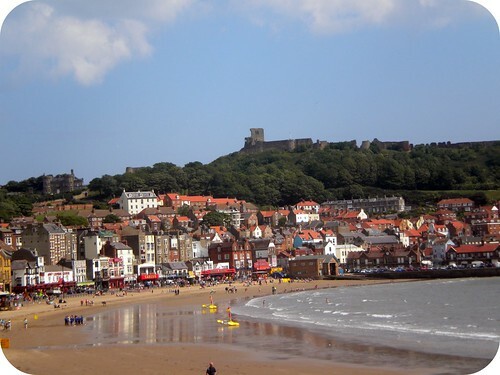 I do like Scarborough - for all the reasons you've said - but I think I prefer Whitby - I love the beach & cliffs there. Have you been? Yes, we went to Whitby and I loved it so it is getting a blog post too this week! Very gothic. I've never been to Yorkshire and these pictures really make me want to go.